Until the mid 1800s, married women in England had no legal rights. By law a husband could prevent his wife from seeing their children. He also had control over all her income, including any earnings she might make. 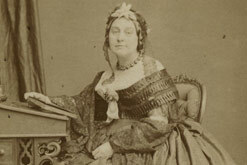 Caroline Norton (1808-1877), who was married to an abusive man and who had been barred from seeing her three sons after they divorced, successfully challenged these laws. Caroline was the granddaughter of a playwright Richard Brinsley Sheridan and the daughter of novelist Caroline Henrietta Sheridan. Caroline’s father died when she was eight years old, which left the family in financial straits. When Caroline had turned 16, George Norton, a Tory member of parliament for Guildford, spotted her and asked for her hand in marriage. But she was too young to marry. Though a renowned beauty, Caroline had no dowry. Still, she hesitated to marry George Norton, but her mother eventually supported the match and thus she wed him at 19. Caroline’s story is more convoluted and complicated than presented here, and well worth reading. Suffice it to say that Caroline challenged the law that favored men over women, and her writing was instrumental in having The Child Custody Act of 1839 passed. Sadly for Caroline, her husband still denied her access to her children. Her youngest boy fell from a horse and died, and only after this tragedy were her two other boys allowed to live with her. His cruel carelessness was afterwards proved, on a most miserable occasion. My youngest child, then a boy of eight years old, left without care or overlooking, rode out with a brother but little older than himself, was thrown, carried to the house of a country neighbor, and died there of lock jaw, consequent on the accident. Mr Norton allowed the child to lie ill for a week,–indeed to be at death’s door,–before he sent to inform me. Sir Fitzroy and Lady Kelly were staying with Mr Norton in the country. Lady Kelly (who was an utter stranger to me) met me at the railway station. I said–”I am here,–is my boy better?” “No,” she said–”he is not better,–he is dead.” And I found, instead of my child, a corpse already coffined. Mr Norton asked my forgiveness then, as he had asked it often before; he sent his elder child to plead for him,–for well he knew what my children were to me; he humbled himself, and grieved for an hour, till he changed into pity the horror and repugnance I had expressed at the idea of seeing him;–and then he buried our child, and forgot both his sorrow and his penitence. When George Norton caught wind that Caroline had been left a small legacy by her friend, Lord Melbourne and a small sum that her mother had left her, he stopped support payments for her and the children. Caroline fought him in court but lost. She campaigned to have the laws changed, and her victory resulted in the Matrimonial Act of 1857. Caroline remarried just months before her death in 1877, but not before two more crucial laws were passed that protected the rights of women and children, the Infant Custody Acts of 1873 (and 1886) and The Married Women’s Property Acts of 1870 (and 1882). Caroline Norton is a particular favorite of mine ever since I first heard her story when I went to see an exhibit at the NYPL on women. She was one of the first women that I wrote about on Scandalous Women and I even pitched the story to British Heritage magazine and they turned me down. British Heritage Magazine lost out. I am hurrying over to your wonderful blog to read your take on Caroline. What a fascinating, brave, and persistent woman! If you ever saw The Duchess with Kiera Knightly, you will feel the twisted gut wrenching depth of sorrow, loss and tyranny a husband wrought upon his wife. This movie was so well done. My friend and I walked out of the theater shell shocked, touched in a deep way that neither of us could comprehend. She had to watch it again privately. We’ve come such a long way that we’re horrified at how dependent women were on their fathers, brothers, and husbands. Such horrible stories. Caroline lost that fourth child when she was beaten during her pregnancy, which I forgot to put in the post. Fascinating story. I often talk about women’s roles in Victorian England when I introduce the period to my students. They should find this story interesting. This reminds me of “Stealing Athena” by Karen Essex. It is the story of Mary Nisbet, countess of Elgin, who also was responsible for funding the removal of Elgin Marbles from Parthenon (Athens) to British Museum. She had a similiar marriage that ended badly — her having to lose custody of her children to her husband, Lord Elgin. 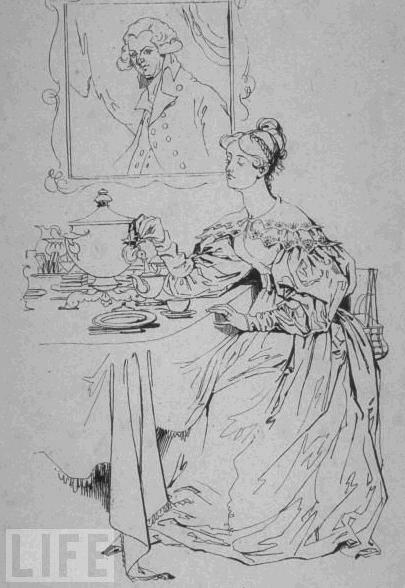 This happened when during Austen’s time, not sure if Jane was aware of it. Mary struggles inspite of being a heiress to her father’s property, in getting custody of her children, much like Duchess of Devonshire. It’s such a heartbreaking story–and a sobering reminder of just how much we take for granted today. is there any movie about the Caroline Norton’s life?